I’ve been on the raid again for these shots for Cee’s watery challenge. 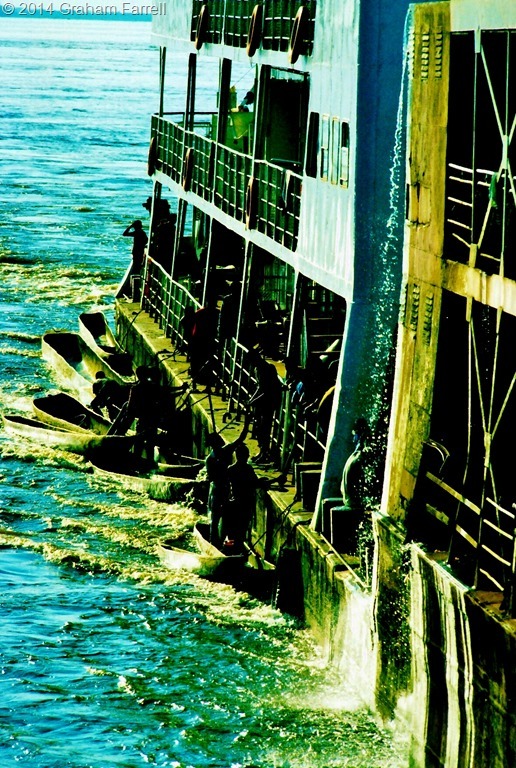 They’re from the Team Leader’s photo archive of his Africa overland trip, and were taken from the deck of one of the huge Congo ferries that ply the treacherously shifting waterway between DR Congo’s capital Kinshasa and the port town of Kisangani, a thousand kilometres inland. This vast waterway is one of Africa’s super highways. 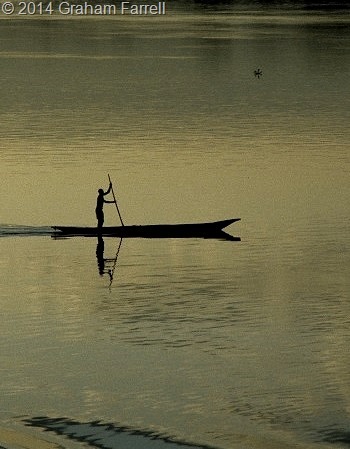 In a land with few roads or other amenities, the Congo River not only provides the main means of travelling across the country, but is also a continuous marketing opportunity for local farmers, fishermen and traders who deal in just about every imaginable commodity. The traders tie up their pirogues alongside the ferry. They come to trade with passengers and to hitch a ride. At times the ferry looks more like a floating city than a river craft. 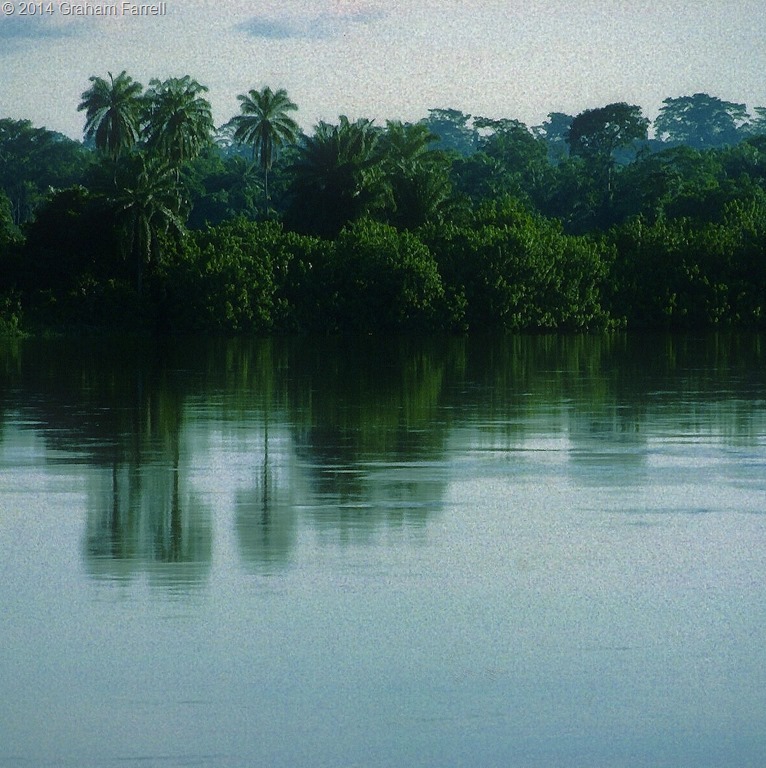 The river of course means far more than transport and trade to the Congolese who live beside it. It provides fish to eat for one thing. 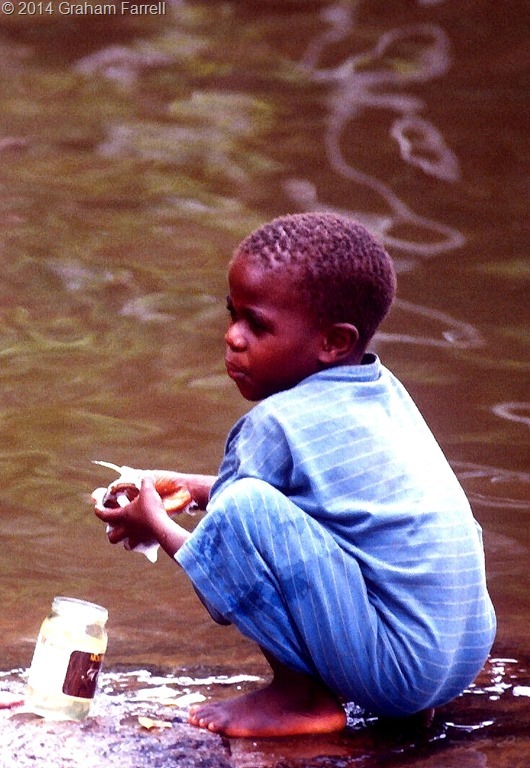 More crucially, it is the main source of drinking, cooking and washing water: in every sense a river of life. I am trusting that this is the final version of this novella. But then with stories you never do know. It’s both the pleasure and the pain of e-publishing: you can tinker with your text until the end of time, re-posting the updated versions. I anyway have a tendency to re-make earlier works: putting them into new forms, re-shaping them for different audiences and purposes. With this story, though, only length and title have changed, oh yes, and in this final version I have started at a different point from two earlier versions. The first published version came out in 2008, in the Nov/Dec issue of Cicada, a US literary magazine for teens to adults. The title then was El Nino and the Bomb. For those of you writers who do not know about Carus Publishing/Cricket Magazine Group (founded by Marianne Carus in 1973 and “won more awards than any other children’s publisher”) you can find out more HERE. If you are learning your craft as a writer or illustrator, and have an interest in children’s and teen publishing, then you can learn a lot from these magazines. The general ethos is multicultural, and each title – Babybug, Ladybug, Spider, Cricket, Cicada caters for a specific age group, thus nurturing a life-time’s habit of good reading. 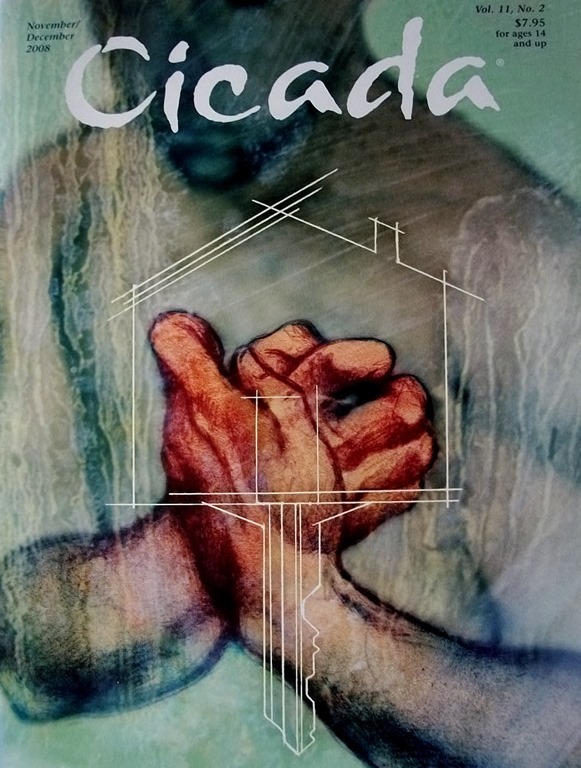 Cicada have published a number of my short stories over the years, works that started off as 5,000-word entries for adult short story competitions. This was how Losing Kui began, although back in the early 2000s the title was Material Days. In this form it was short-listed in Carve Magazine’s Raymond Carver Short Story Contest. The then editor, Melvin Sterne, sent me a very sweet email, saying he was sorry that it did not make it to that year’s anthology. I still like the Material Days title, although it perhaps means more to me that to anyone else. When I was living in Kenya it was a phrase I read often in newspaper crime reports. At the time it chimed with my sense of indignation at the then government: the way it abused its people, and the poverty it so wilfully inflicted upon them. 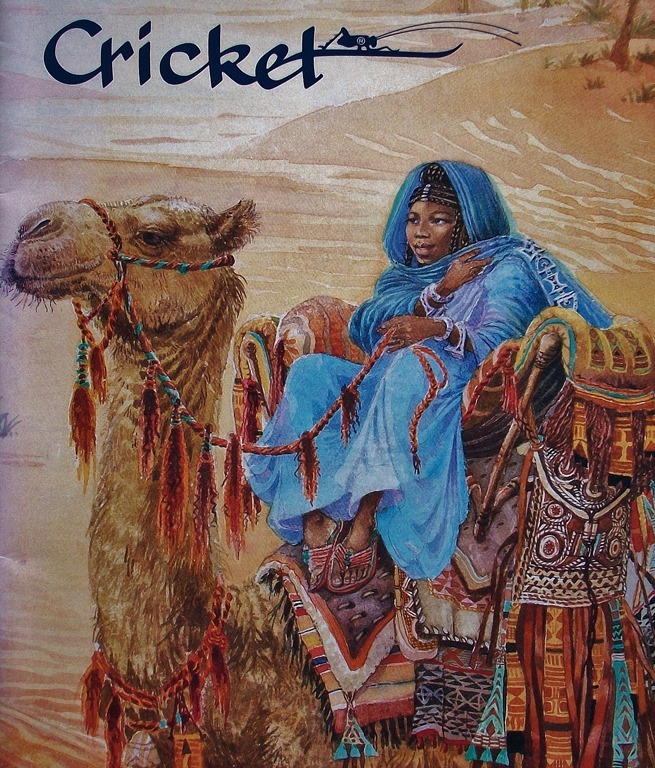 And so, spurred on by Melvin Sterne’s email, and still nursing that sense of indignation over the state of things in East Africa (a situation that Great Britain and other donor nations have long had a hand in), I began an expanded version of the story with the idea of submitting it for Cicada’s novella slot. They accepted it too, although there was a wait of several years before it was actually published. In that long interval I was fortunate to work with Cicada’s then Senior Editor, Tracy C Schoenle, and Executive Editor, Deborah Vetter. I learned a lot from their thoughtful and respectful editing. But there was a bigger lesson in store than seeing how best to trim excess words, or make meaning sharper. It was Marianne Carus, Editor in Chief, who was responsible for a major change in the story. She suggested, very delicately, that I had left the protagonist Kui in too bleak a place and wondered if I might consider a more positive ending. At first I huffed to myself: I liked my ending. But then once I was over my fit of writer’s pique, I knew she was right. The last third of the story was thus written in response to Ms Carus’s comment. I remember it flowed out at some speed, as if my subconscious had also known that I had not finished the story. Time of course had passed by then, and I wasn’t quite so angry. Instead of hopelessness (relieved by elements of dark comedy) I saw possibilities for redemption; my characters began to take charge of their lives, and rise above their misfortunes. And that was the moment when I truly understood just how much writers can learn if they have the chance to work with a good editor. As others on this writerly blog tour have said, some writers are the bees’ knees at doing anything but write. I would be one of them. When the time comes to sit down at the desk there is the sudden compulsion to go somewhere else – anywhere else. This morning I left the computer to scrub the grout between the bathroom tiles. (So absorbing). 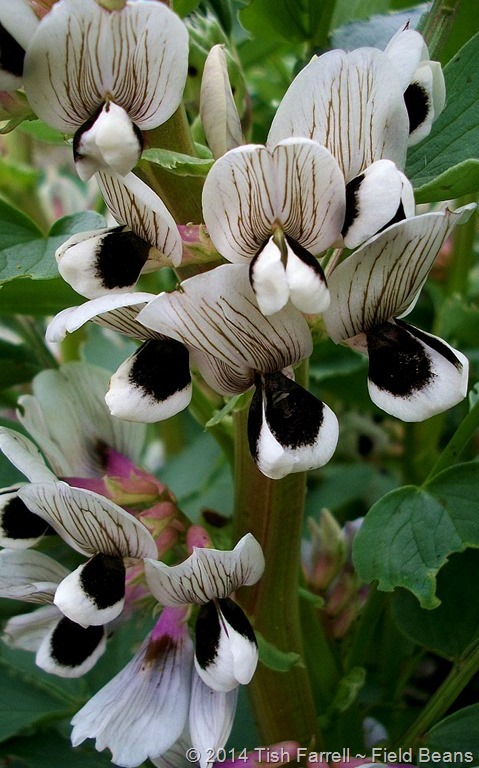 Later I mooned over pots of recently sown runner beans, and what? Waited for them to grow? Of course. No writing skills needed in Beanstalk Land, only nifty footwork to elude man-eating giants. (Hm. 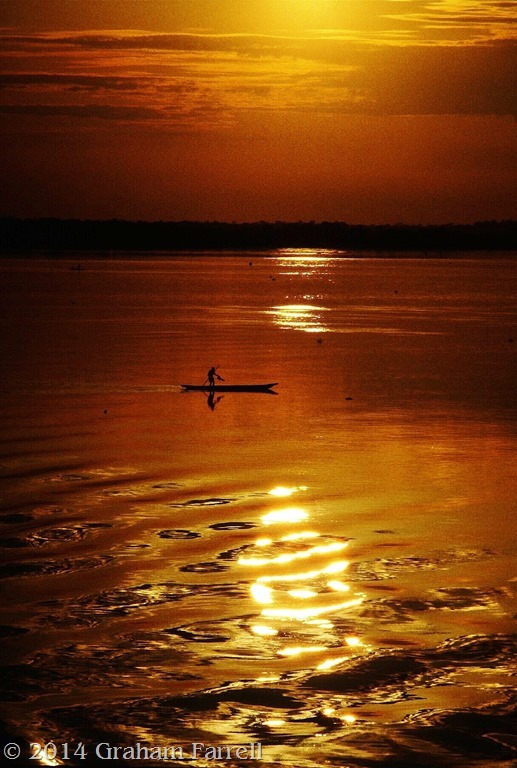 And I could pick up a golden harp while I was there; learn to play, might inspire me to…) You get the picture. So what is this doing something else all about? OCDD – obsessive compulsive displacement disorder? Why do we put ourselves through this? It was the first question I asked myself when Helen Kuusela aka Tiny at www.tinylessonsblog.com invited me to join this blog tour. I was so busy asking it, I forgot to thank her. 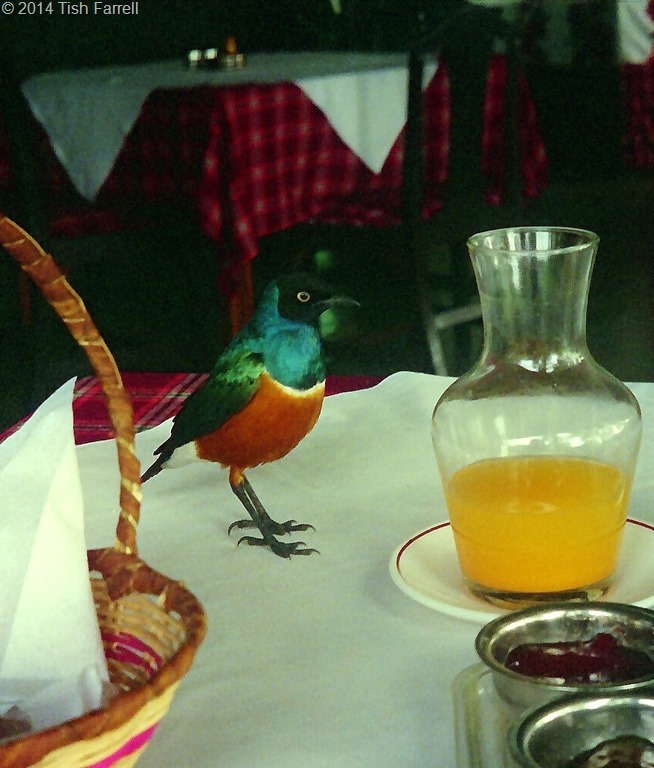 So thank you again, Tiny, and hello to everyone on this fascinating writing safari. I forgive you, one and serially, for putting me on the spot. As to the OCDD, I have a theory, one based on extensive personal observation. When procrastination sets in, and especially after an early full-of-promise burst, your inner truth-teller is trying to make contact with your writing brain. Something is not quite adding up. 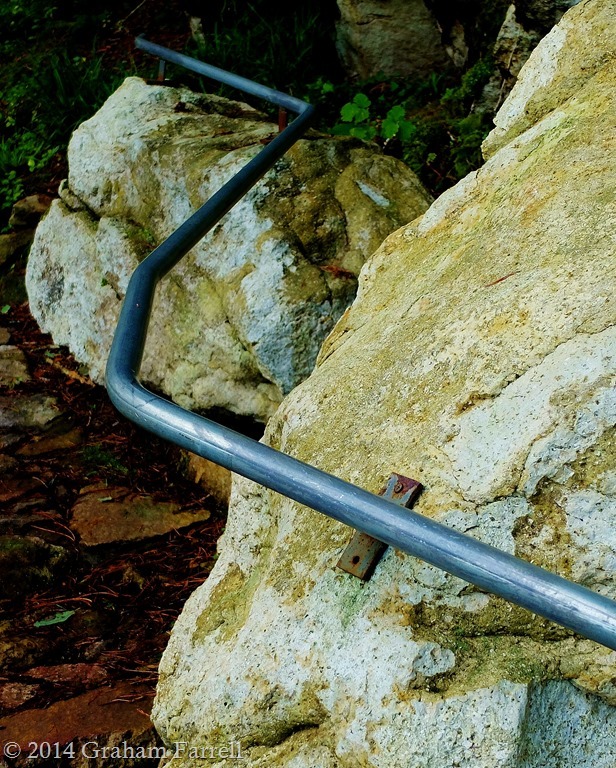 This is the moment for some pointed self-examination: are you writing yourself into a dead end? Have you started in the right place? Do the voice/situation/setting ring true? Is your plot/concept/premise sound, and does it truly have sufficient substance and energy to become the story/novel/poem you envisaged? Are you writing from within, or only from the surface? These can be very painful questions and, rather than rolling them around your mind, I find asking them outright and OUT LOUD has better results. The inner truth-teller seems to respond better to vocalized interrogation. Also, the process of outlining the work to an audience, and by that I mean a willing listener who does not interrupt, can reveal both the intrinsic problems and the possible solutions. As you talk, the remedies to stuckness will likely pop out of your mouth. Listen out for them. A passive listening post is thus an essential aid. Your dog, cat or canary would be a good choice. Successful children’s writer, Michael Morpurgo, says he first outlines his stories to his sheep. And as I write this, I’m thinking that a Dictaphone could be a good idea too. If anyone has other notions on this, please tell me. 1) What am I working on right now? 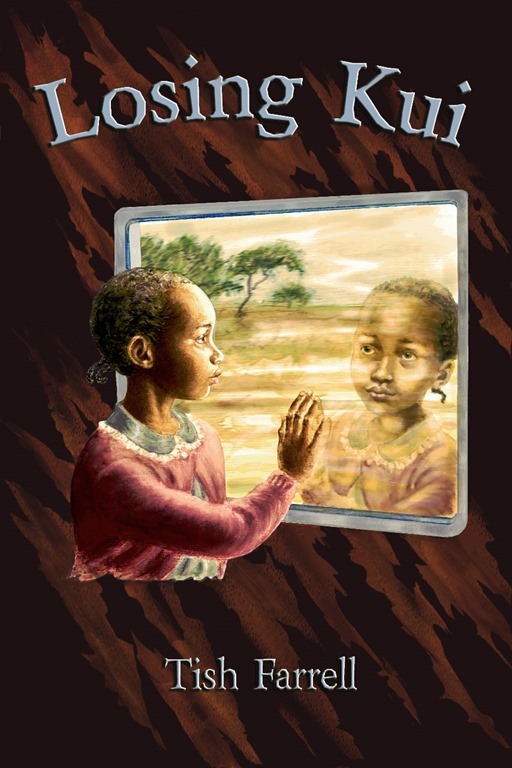 In my head, filing cabinets and paper piles I have many works in various stages of creation: picture book scripts, teen novels, a grandiose scheme (possibly two novels for adults) set in colonial East Africa. This last project I’ve been working on for several years – stalled at various points by doubt; then by the annoying tick that says I need to do more research. (This can be another OCDD trap, so it’s wise to keep checking). I am heartened, though, when I hear writers such as Barbara Kingsolver say that it took her nearly thirty years to acquire the wisdom to write the magnificent Poisonwood Bible, or that Tolkein found himself stuck in the Mines of Moria for a whole year, wondering how to write his way out. Such admissions remind me (once I have checked back with myself AGAIN) that the time it takes to finish a piece of work, is the time it takes to finish it. Not everyone can write a book a year. And now I think of it, I’m sure I read that the marvellous short story writer, Alice Munro, takes eighteen months to write a single story. And when you read her, you know why. She distils whole novels into her short form. For now, I’m recycling my ‘back catalogue’ of published short stories, creating new editions as Kindle e-books. 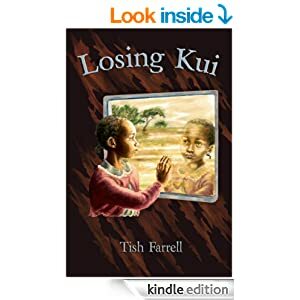 I have just kindled Losing Kui, a novella originally published by Cicada Magazine in the U.S. a few years ago. On one level it is a tragi-comedic view of everyday life in a fictitious East African country during the late ‘90s. On another, you might call it an allegory, but I leave it to readers to decide what I mean by that. 2) How does my work differ from others of its genre? I am truly not a fan of categories, although I know marketing persons insist on them. What matters to me as a reader and writer is a well-crafted story, whether it is a 300-word picture book, Hilary Mantel’s Booker winning Wolf Hall or a Lee Child thriller. Most of my published work comprises short stories/novellas that are accessible to both adults and teens, and so I suppose you could call them crossover literature. Books for young people are anyway not so hide-bound, and may combine several so-called genres: real-life and historical narrative inter-threading with fantasy/magic realism. I find myself increasingly attracted to this combination. 3) Why do I write what I do? I had always meant to be a writer, but it was only when I went to live in Africa during the 1990s that I found a REASON to become one. 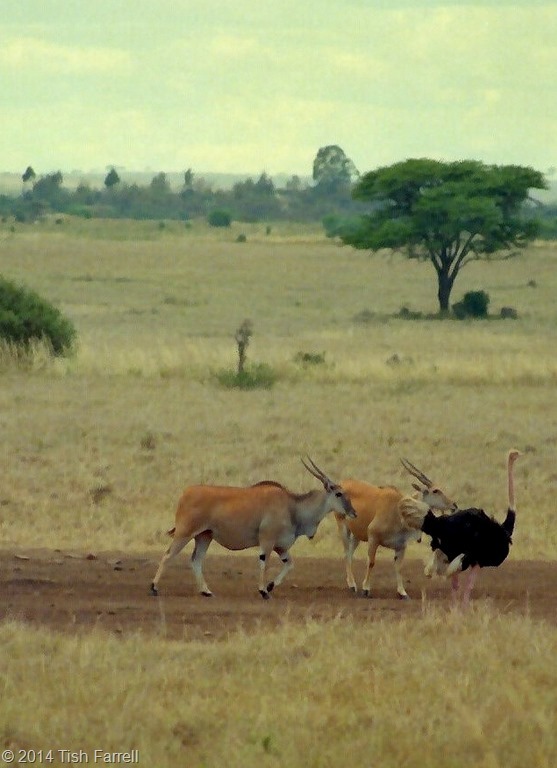 In Kenya I was confronted with big landscapes and big human issues in which my own country had long played a questionable part. Suddenly I had a viewpoint and a focus and a territory. I was incensed too, by the wholesale imposition of western ‘values’ that left young Africans thinking it uncivilised that their forebears lived in mud and thatch homes. That’s one of the things that spurred me to write contemporary fiction for African young people. See (Latest books). Some 14 years after returning to the UK, I’m still teasing out stories begun in Africa. 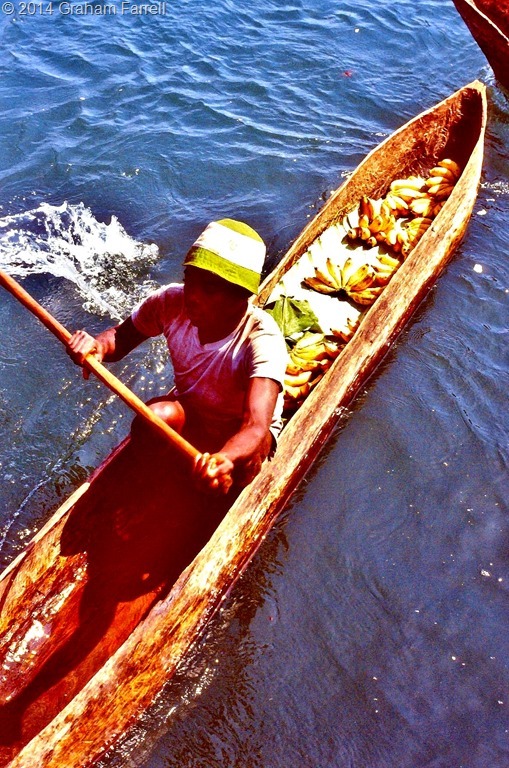 I keep meaning to head for other lands, and one of my Ransom quick-reads for teens, Stone Robbers, is set in Guatemala. I suppose I am driven by the desire to tell stories about people who do not have a voice in the wider world, or who live in ways that are fast disappearing. In the margins between tradition and consumer modernity there are the kinds of drama and conflict that every story needs to make it work. 4) How does my writing process work? My people always arrive first. Even if I can’t clearly visualise them, I have a strong sense of them and their particular dilemma. After nearly 20 years of writing I have amassed quite a crowd, all waiting for their stories to happen/move on/finish. To discover what their stories may be, I always do a lot of research – too much probably. But without fail, the ‘what happens’ always emerges from this reading. In that sense, I do not make things up. How the works come together thereafter depends on finding some sort of imperative. This could be a writing competition deadline, or a publisher’s call for a certain kind of work. As Tiny says in her post, you do need deadlines. And perhaps, to come full circle, a lot of writer’s OCDD is also down to not knowing who will want to read/publish the work once it is done. While it remains unfinished, both failure and success are forever postponed. Keeping to your chosen path is hard to do, and I’ve written more on this HERE. But now please meet Celestine Nudana from Ghana, West Africa. She will be heading out on the next leg of the #mywritingprocess tour (26 May). She has been blogging at Reading Pleasure since 2012: http://readinpleasure.wordpress.com/ and believe me it is always a pleasure to visit her there. Celestine is Senior Assistant Registrar at the University of Professional Studies, Accra, Ghana. She is married and has three boys. She attended the University of Ghana, Legon, where she read English and Theatre Arts, majoring in play writing. She also has a Masters in International Affairs. As well as being a passionate reader and book reviewer, she has also developed a special talent for writing haiku, although she says she is still at the learning stage. 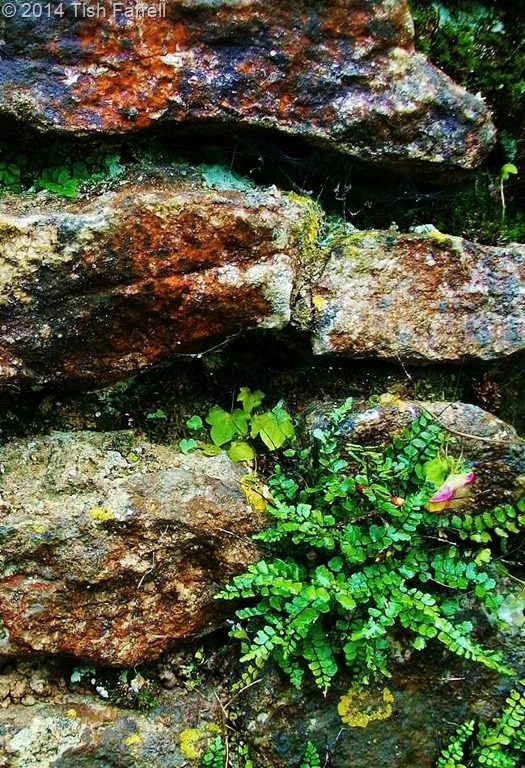 Even so, her work has been included in two recent anthologies: Western Haiku: A Collection, and Ballads, bothproduced by Dagda Publishing UK, an independent publisher who aims to show-case the freshest poetry and literature by new writers from around the world. The works are available as e-books. She has also had her flash fiction published in1 Photo 50 Authors 100 Words edited by Madison Woods. She says of herself, “I am a romantic at heart, and love a good romance story, though I shy away from erotica. 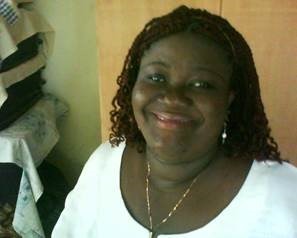 Almost all my poems focus on love, or aspects of it.” Celestine has written romantic fiction for serialization in several Ghanaian newspapers, and deployed her play writing skills to produce radio serial dramas that deal with topics including child health and female sexual reproductive health. So here is a woman who writes on many fronts. I’m looking forward to hearing what she has to say about her writing life. Hello! 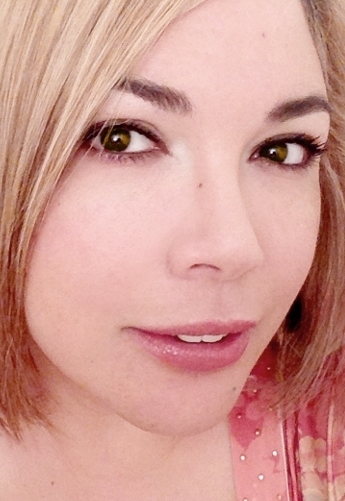 My name is Vashti Quiroz-Vega. I’m a writer of Suspense, Fantasy and Horror. I also enjoy mixing in some Humour and Romance into my stories. From the time I was a young kid, writing has been my passion. I’ve always been a writer; I just didn’t know it until much later. For me, it is easier to express my thoughts on paper than with the spoken word. I enjoy making people feel an array of emotions with my writing. I like my audience to laugh one moment, cry the next and clench their jaws after that. My love of animals and nature are often incorporated in my stories. You’ll read intriguing things about various animals, nature and natural disasters commingled with my character-driven novels. I love to read almost as much as I love to write. Some of my favourite authors are Stephen King, M. Night Shyamalan, Michael Crichton, Anne Rice, J. R. R. Tolkein, J. K. Rowling and Dan Brown. This is such a heartfelt post about what it means to lose mobility. Something we could all do well to consider. Maverick09’s Blog is anyway worth a visit, not least because you can also find out how to make wonderful banjos there. I’ve been using a wheelchair for three or four years now, on and off, mostly off. I don’t really enjoy the experience and I’ve pondered for some time as to the reason. Following an ‘outing’ today I think I’ve worked out why. During my able bodied years I would not have dreamt for one minute of thinking let alone penning the following because, along with millions of others, I hadn’t got a clue about personal mobility or, to be precise, lack of it. Having difficulty walking, for myself anyway, apart from the physical pain associated with giving it a go, has many what you might call side issues created by the very people would you believe who are trying to assist. It’s silly, I know, but I tend to think that valuing heritage is a rather modern concept, very British – probably kicking off in the eighteenth century with all those landowners filling their bosky domains and deer parks with Grecian grottoes and Roman temples, and Lord Elgin using diplomatic privilege to ‘save’/ make off with the Parthenon’s marbles. So years ago, when I first discovered this Saxon poem in Penguin Classics’ The Earliest English Poems, I was both amazed and captivated. Even in its fragmentary, fire-damaged state, and some thirteen hundred years after it was written, the words come powering through. It has been well translated of course by Michael Alexander. In his introduction he says he believes it to be a description of the ruined Roman spa city of Bath – Aquae Sulis (Somerset, England), and written some 300 years after the Romans left Britain. I’m posting it as a source of inspiration for all poets writing in English. All those alliterative compound nouns – showershields and gravesgrasp – don’t they just hit the mark! Well-wrought this wall: Wierds broke it. Snapped rooftrees, towers fallen, the work of Giants, the stonesmiths mouldereth. and on the acropolis, ruins. on this bright burg of broad dominion. Michael Alexander has translated the best of the Old English poetry into modern English and into a verse form that retains the qualities of Anglo-Saxon metre and alliteration. 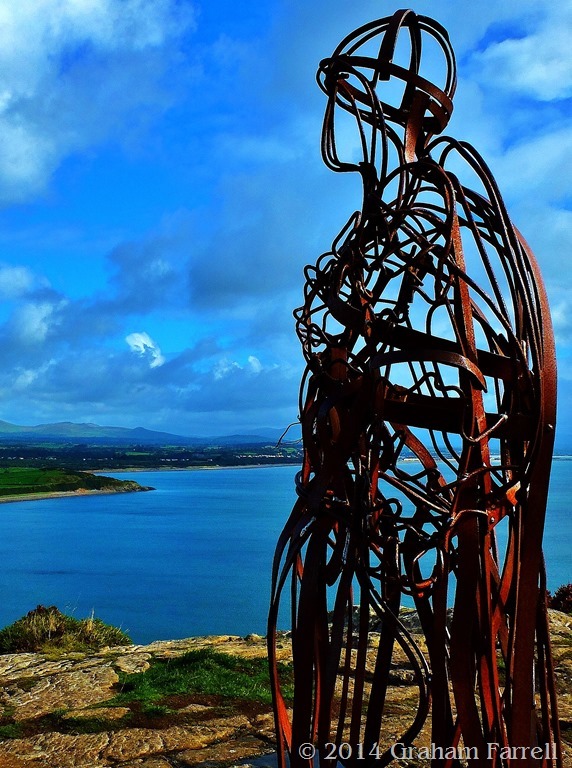 Included in this selection are the ‘heroic poems’ such as Widsith, Deor, Brunanburh and Maldon, and passages from Beowulf; some of the famous ‘riddles’ from The Exeter Book; all the ‘elegies’, including The Ruin, The Wanderer, The Seafarer, The Wife’s Complaint and The Husband’s Message, in which the virtu of Old English is found in its purest and most concentrated form; together with the great Christian poem The Dream of the Rood. 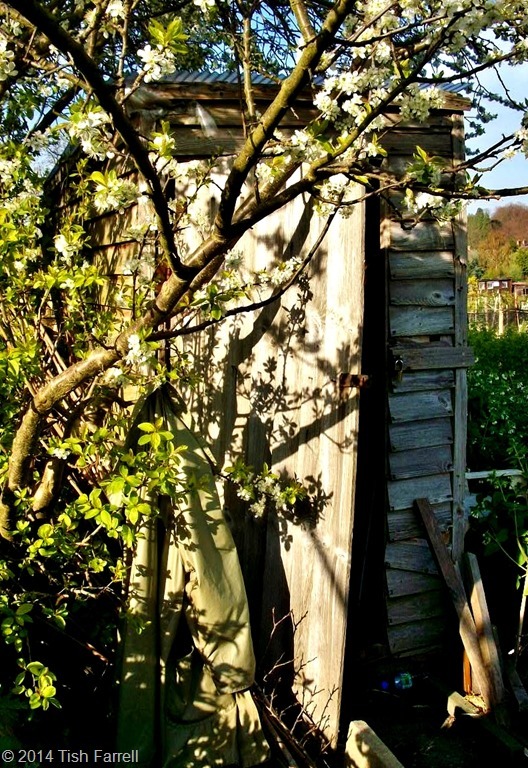 Well the old shed has made it through another year. A couple of bits have fallen off, but last year’s application of internal bracing by the Team Leader, aka Graham, has kept its tendency to list in an easterly direction in check. Would that we all had such a bracing. Over the winter it housed a poor mummified mouse, and snails still go to roost in there. I’m not showing you the inside, though. You definitely do not want to see in there. 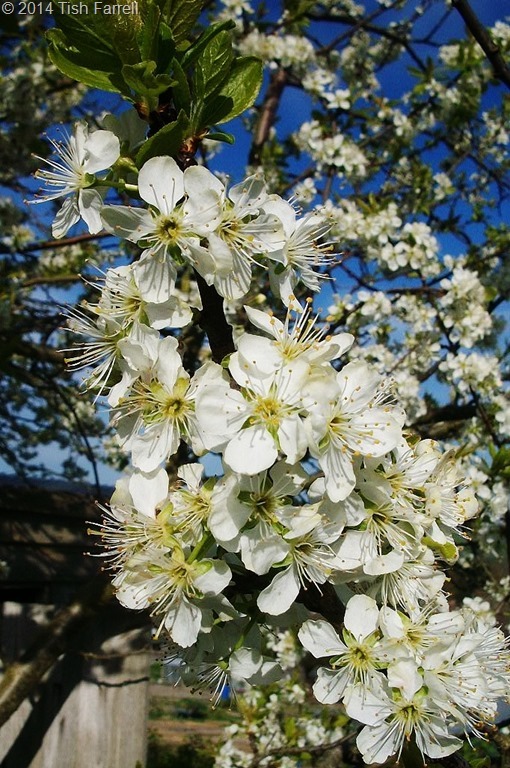 Instead, here is the ancient greengage tree with its delicate blossom. Already I’m wondering if it will give us some fruit this year. Greengages are notoriously temperamental, and after the magnificent crop in my first year of allotmenting that had us, and all our friends and relations, dribbling with delight over bucket loads of luscious harvest, it has borne very little. That was seven years ago. Maybe this year is the year then. There are loads of jobs to do, not least digging. The endlessly wet autumn and winter meant that winter digging was impossible, so there has been much to catch up on. 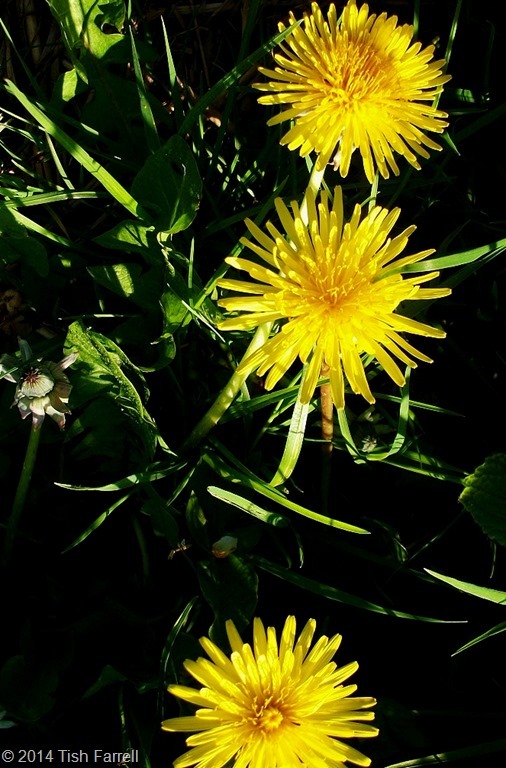 Meanwhile the weeds are literally having a field day, which makes this the the season of dandelion beheading. (Sorry, dandelions). They are sprouting up all along the paths between everyone’s plots, and I’m afraid I find great satisfaction in slicing off these cheery faces with my strimmer. Their replacements are anyway there the next day, beaming vigorously. Then there is the comfrey forest to manage. This plant I crop and cherish. 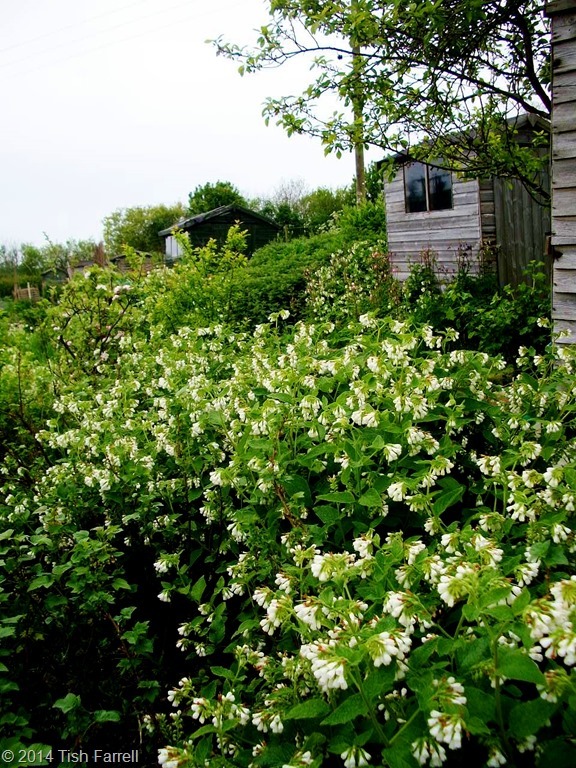 You cannot have too much of it, and it obligingly grows itself in a huge clump beside the shed. 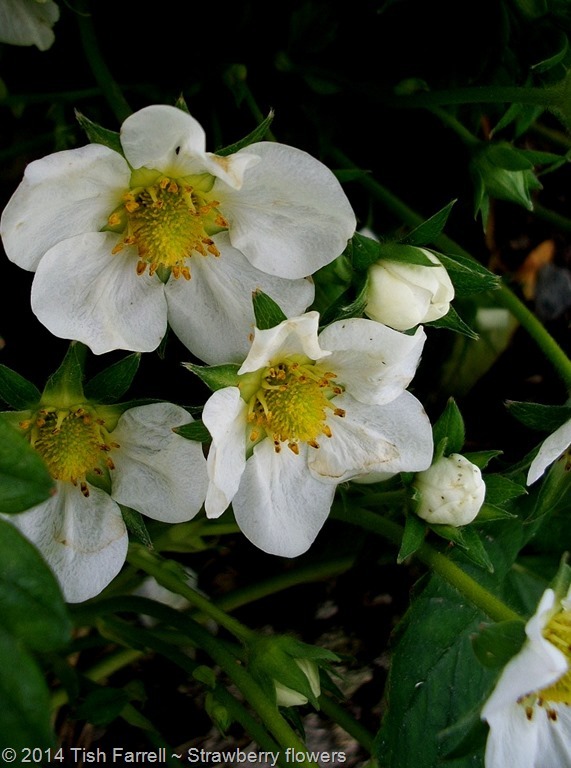 If you cut it down after flowering, it will grow again and again during the summer. Comfrey, as I have mentioned before, is the organic gardener’s dream plant. It comes in other shades, pink to purple through blue. Its ability to mine otherwise inaccessible nutrients from the soil (dynamic accumulation I believe this is called) and repurpose them in its foliage make it an endless source of cost-free fertilizer. It is one of the reasons why you can’t look in my shed. I do my brewing in there. And no. It’s not what you think. For those who missed an earlier post on this, I stuff old compost bags with the comfrey’s top growth, seal them with clothes pegs, cut a hole in the corner of each bag, and prop it over a bucket and wait. In the warmth of the shed the vegetation soon rots down, giving out a dark and evil looking liquid that collects in the buckets. This stuff is pretty smelly, although nowhere near as pungent as the slimy residue left in the bag, which then ends up on the compost heap. The liquid I decant into old plastic bottles, and use as a feed through the growing season. It is 3 times richer in potassium that farmyard manure, but it must be diluted 1 part comfrey essence to 15 parts water. 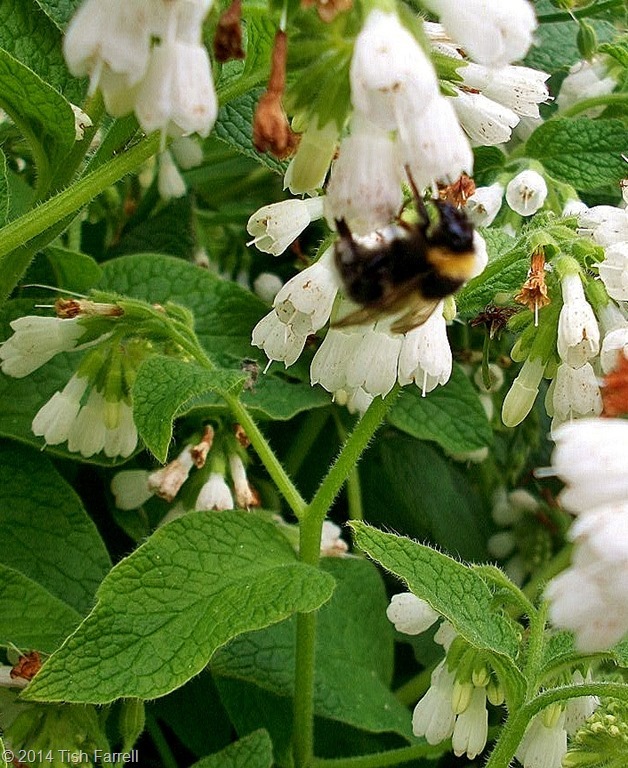 The blurry bee above would not stay still for the shot, but that’s another good thing about comfrey. Bees like it. As I took this, I spotted at least 4 different kinds: a honey bee and three bumbles of varying liveries and sizes. 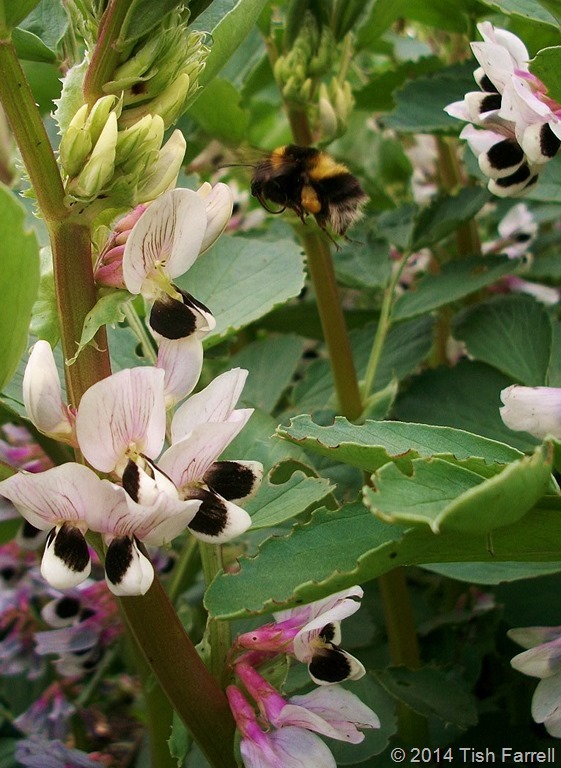 Having written of the dire things that are happening to bees, it’s heartening to see so many at the allotment doing their work. Thank you, bees. The mild winter has meant that many crops simply kept going without dying back. Yesterday I noticed that my globe artichokes have already made globes almost big enough to eat. In May? What is going on? 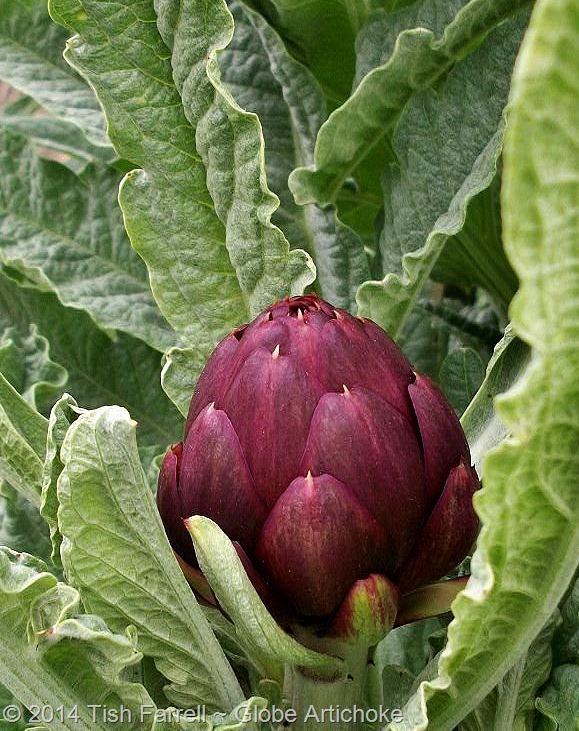 But thank you, artichokes. 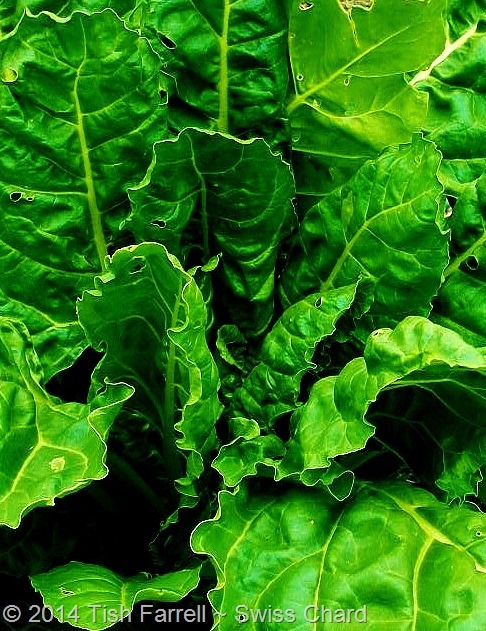 The Swiss Chard has been magnificent too and kept us going through the winter with fresh new leaves. It is only now going to seed. Nor did I sow it in the first place. It seeded itself around my plot from my neighbours’ plot. Thank you, Pete and Kate. 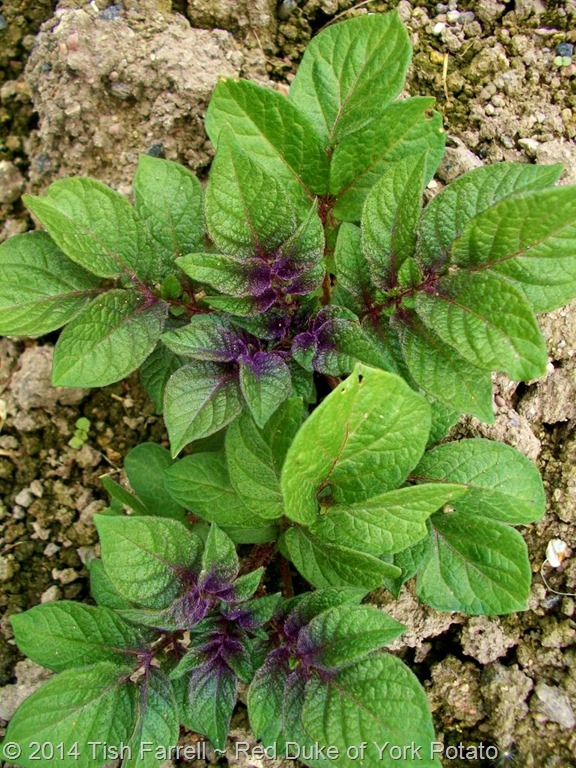 And now you can look at my Red Duke of York spuds, their foliage just pushing through the soil. I love the purple flush on the new growth. And next are my over-wintered field beans (rather like broad beans I am told, but smaller and tastier). This is the first year I have tried them. 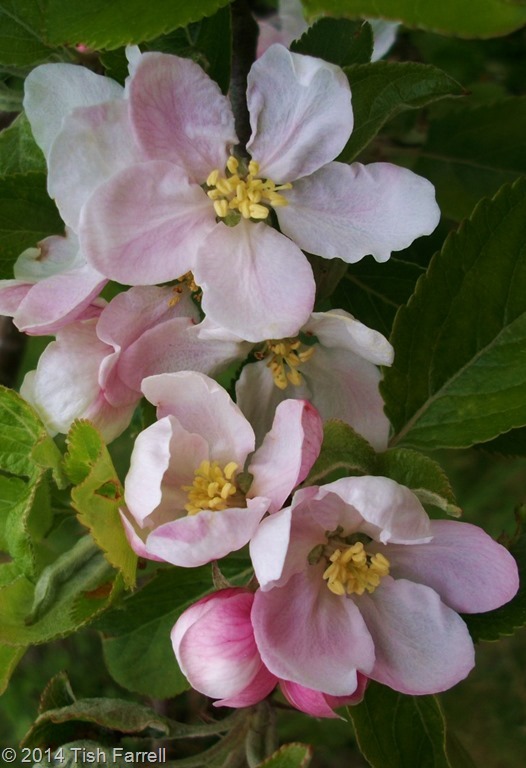 The metre tall stems are covered in blossom from tip to root, and the scent is glorious. The bees are busy here too. 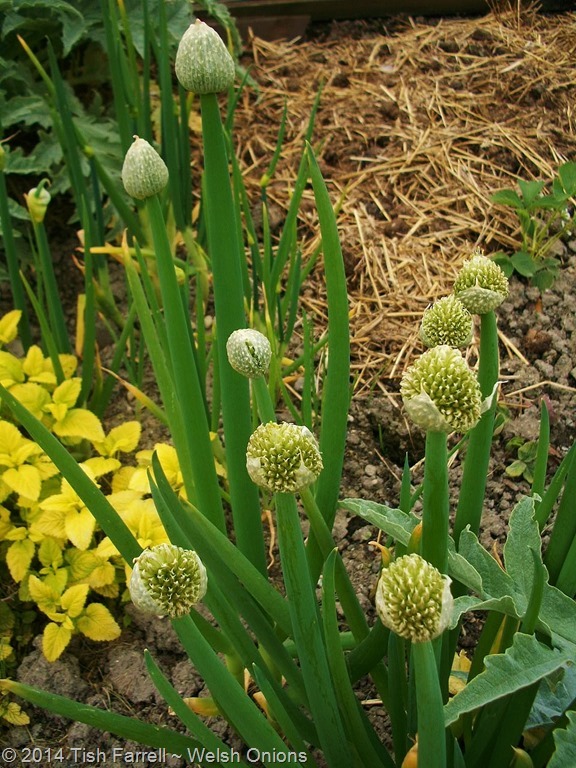 And the Welsh Onions are bursting into bloom beside the Lemon Balm, although I’m not sure whether I should be stopping them from doing this. On the other hand they will look rather splendid as the flowers open, and of course make lots more seed. And finally, the brightest face of all at the allotment, other than mine after too much digging. This is yet another lovely plant that grows itself up there with no help from me, and flowers into the winter. 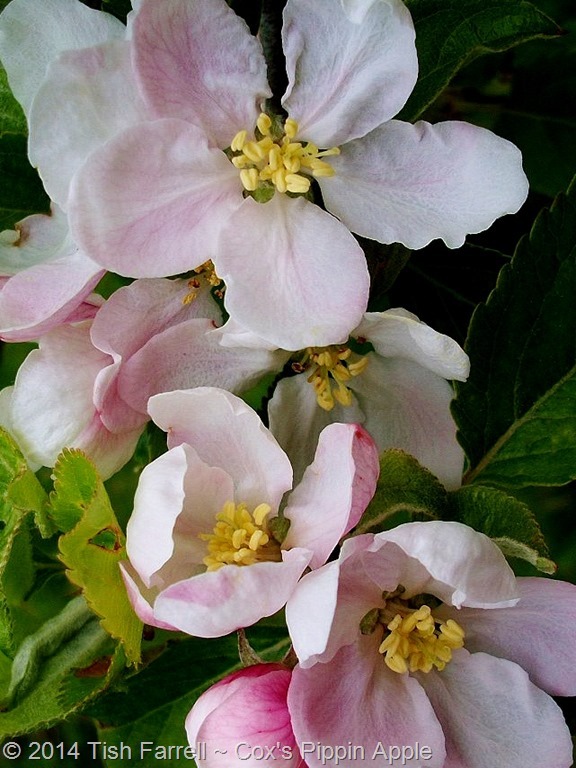 Its petals are lovely in salads, and it makes a good herbal tea that is said to improve pretty much any condition. I can believe it. 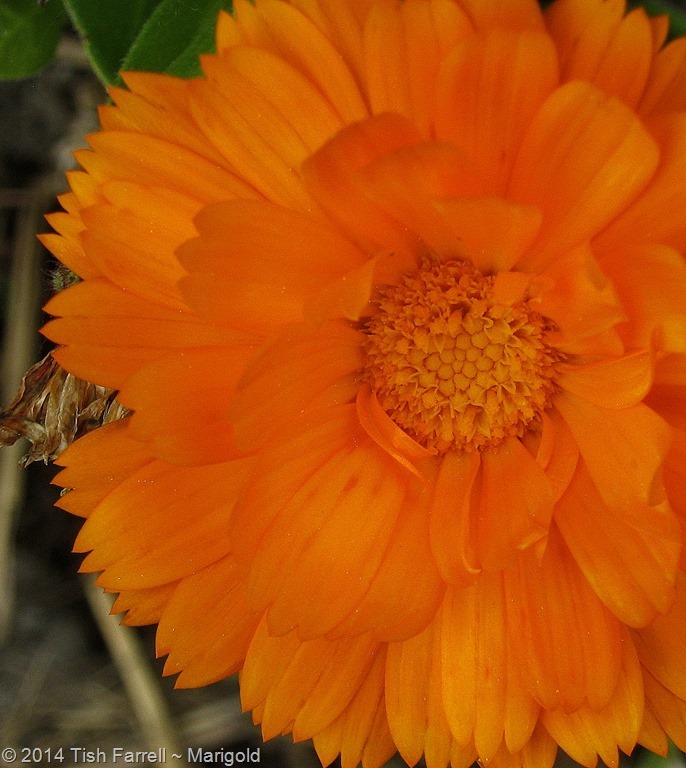 Simply looking at this flower does you good: the orange goes right through your eyes and into your immune system. A big hand then, for the marigold. TARRAAAAH! The light changes every second across the lake. 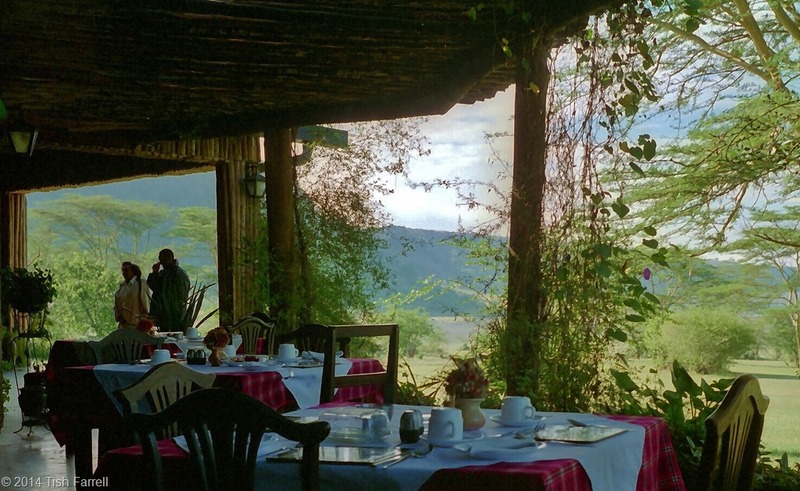 From dawn till dusk there is always something to watch at Elmenteita in Kenya’s Great Rift. 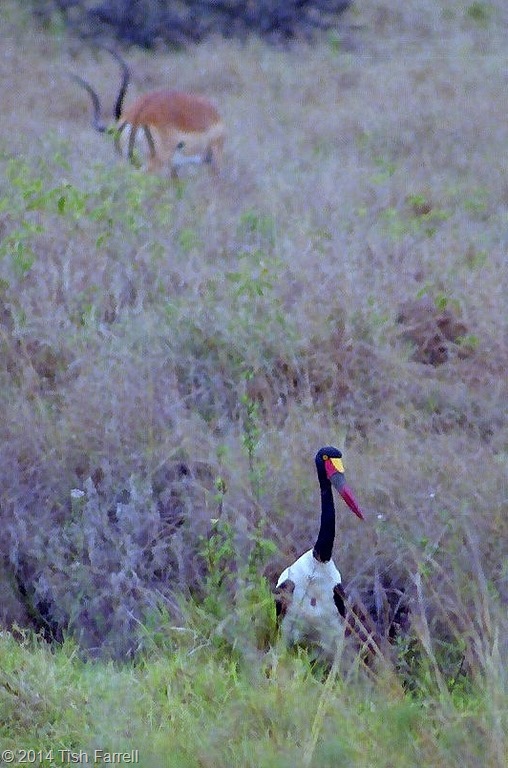 There are over 400 species of birds to spot for one thing – among them the endangered white pelican that breeds there. 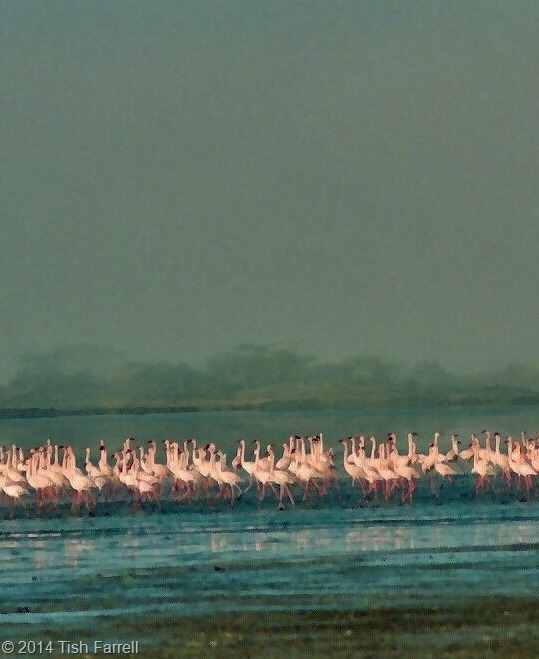 The main stars, though, are the surely the huge flocks of flamingos, both lesser and greater varieties, that turn swathes of the lake to rose-petal pink. Even a passing glimpse from the nearby Rift highway is enough to catch the breath. 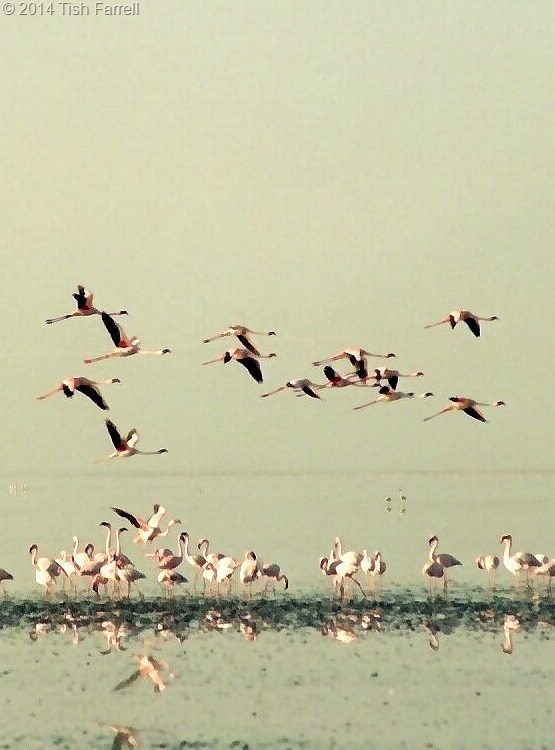 A pink lake – how can that be? We came here often while we lived in Nairobi, staying at Delamere tented camp on the lake shore – a quirky, step-back-in-time establishment within its own nature reserve. The camp, itself was wholly unobtrusive -16 large tents, each sheltered by a thatched canopy and set out beneath fever trees that, here and there, hosted a sturdy canvas hammock. The tents were functional – two wood-framed beds, simple cupboards, rattan chairs all locally made. They came, too, with a plain little bathroom attached out back – running water, flush loo and shower – all facilities that would still be an unobtain-able luxury to millions of Kenyans. Inevitably, knowing this added to the discomforting ‘them and us’ awareness that accompanied us pretty much everywhere. For us wazungu, then, Delamere Camp was an idyllic spot. I once spent a week here by myself while G was at a conference. There were no other guests for most of that time, external and internal tourism having been hit both by El Nino rains that had caused weeks of havoc, and by widely reported bouts of pre-election violence. Manager, Godfrey Mwirigi, treated me as if I were his personal house guest. I thus spent my days and nights being driven around Soysambu nature reserve in a safari truck with zoologist, Michael Kahiga as my expert guide, or taken on early morning bird walks through the bush, or on late afternoon hikes up through the sage-scented leleshwa brush to Sogonoi cliff-top to watch the sun set over the lake with a glass of wine in my hand. This, the daily late afternoon pilgrimage to the sun-downer cliff, was a pleasing piece of hospitality thought up by Paul Kabochi, the camp’s ethno-botanist. I have written about him in an earlier post, but here he is again on the lake shore at dawn. On this solitary sojourn I was sorry to find that he was away setting up another camp. He is a man whose great fund of knowledge is sadly missed, and I would have been glad to have had another chance to speak with him. Instead, I talked to Godfrey about tourism. He kindly ate his meals with me so that I did not have to sit in the dining room alone. Between times, hot water bottles and extra blankets appeared like magic in my bed, or indeed in the truck for the evening game drives. (Nights in the Rift can feel frosty). And all the time I watched and watched until my brain ached with sensory overload. 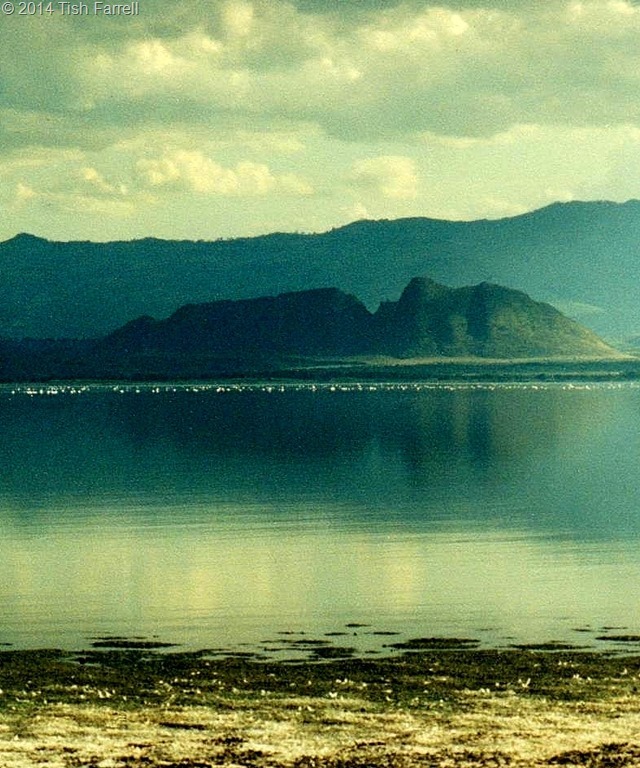 The camp overlooked the lake and the remnant volcanic cone that has long been known by the Maasai as the Elngiragata Olmorani, the Sleeping Warrior. During colonial times it acquired a further name – Lord Delamere’s Nose, this apparently in tribute to the impressive dynastic proboscis of the third baron Delamere who, in the early 1900s, and as one of the first pioneer colonists, acquired 19 hectares (46,000 acres) of shore-land around the the east, north and west of the lake. His brother-in-law, Galbraith Cole, son of the Earl of Enniskillen, farmed the southerly shores at Kekopey. He was a man who was later exiled from British East Africa because he shot dead one of his labourers for stealing a favourite sheep. He later sneaked back to Kekopey disguised as a Somali, and his mother, Countess of Enniskillen successfully pleaded his cause. 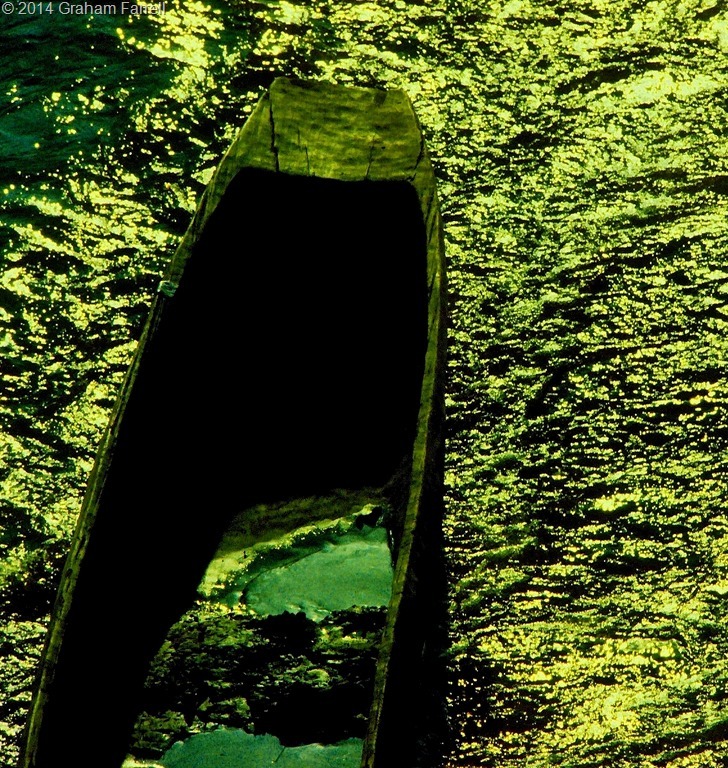 At the age of 48, and looking out over the lake, he shot himself, unable to bear the constant pain of his rheumatoid arthritis. 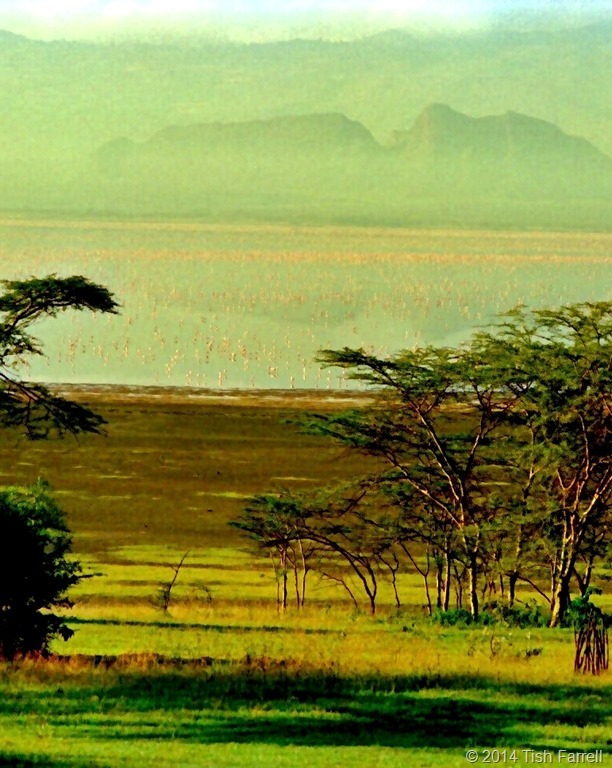 The descendants of these early settlers still live and retain most of their lands (including estates at nearby Lake Naivasha). In fact the only way to gain access to Elmenteita is to book into one of the exclusive safari lodges that now stand on the land that belongs to these old colonial families. This sense of British aristocratic exclusivity inevitably strikes a sour note. Doubtless these landowners will say they are custodians and that, without their dutiful care, the place would be wrecked by ramshackle trading operations and squatters, and the wildlife decimated. Even in my home town in Shropshire we are still ruled by such feudal argument. ‘Keep Out’ signs exclude the people of Much Wenlock from the ancient Priory parkland that is now owned by one family. In Great Britain we take for granted (or are even unaware of) the power of the self-appointed, self-aggrandizing elite who own most of our countries’ lands. I imagine, though, that many people would be surprised to know that super-squiredom is also alive and well in East Africa. 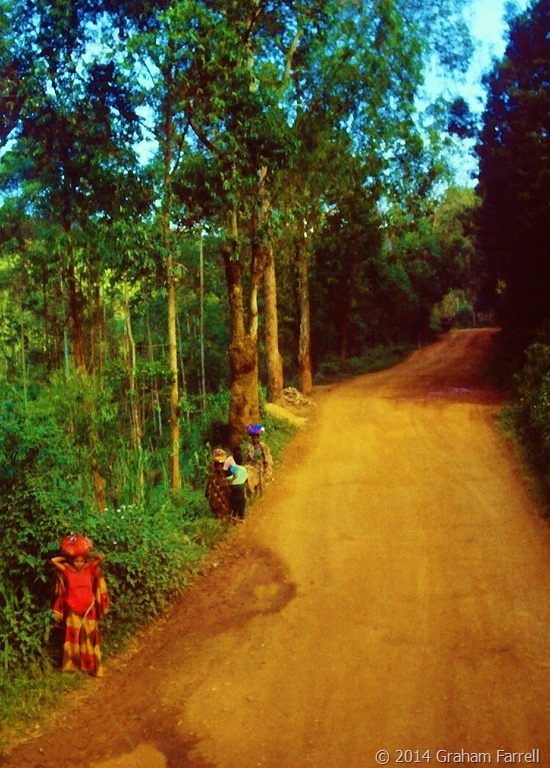 Before the British annexed East Africa in the 1890s, and all the (deemed) unoccupied territory became the property of the British Crown, and the locals obliged to stay forever on the land where the British happened to find them, land usage and territorial ownership was a much more fluid affair. For instance, up in the Rift highlands, and going back hundreds of years, the Kikuyu farmers had negotiated the legal acquisition of new land with the indigenous Okiek hunters, whom the Kikuyu judged to be the land’s original owners. 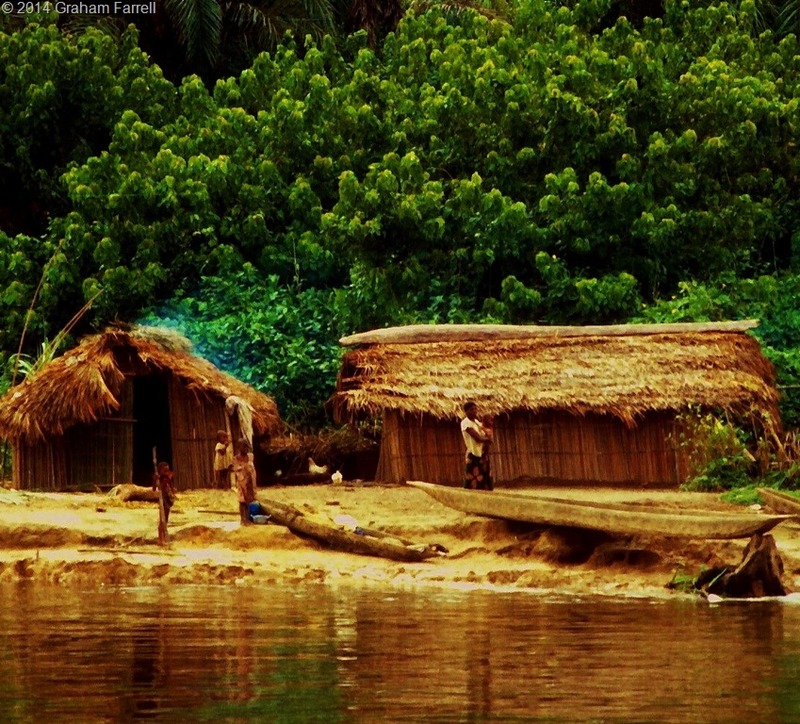 Over the centuries this process of colonisation caused an occupational creep: as land became exhausted or overcrowded, so clan scions left their fathers’ homesteads and sought out fresh territories for their own families to cultivate. It is a similar story over much of the continent as the Bantu agriculturalists sought fresh ground. As the boundaries of allotted farm and pastureland nudged further into the Rift, so there was competition and conflict with the pastoral Maasai. The herders anyway believed themselves masters of the Rift, shifting up and down it as need for fresh grazing and water dictated. The farming communities with whom they traded and inter-married also at times presented an alluring target. This was inspired by the cattle herders’ belief that Enkai, the creator, had bequeathed all the cattle on earth to the Maasai. For young warriors intent on proving their courage and amassing cattle to augment family honour, armed cattle raids on their farming neighbours were a matter of necessity. It is interesting, then, that colonial aristocrats such as Delamere, who established large stock ranches in the Rift, were inordinately admiring of the Maasai, seeing them as nature’s aristocrats. It is also tempting to put this down to a congruence of world vision: recognition of a mutual case of droit du seigneur? In fact in those early days, Delamere was the only white man for whom the Maasai would deign to work, although this did not stop them from making off with large numbers of his sheep and cattle. 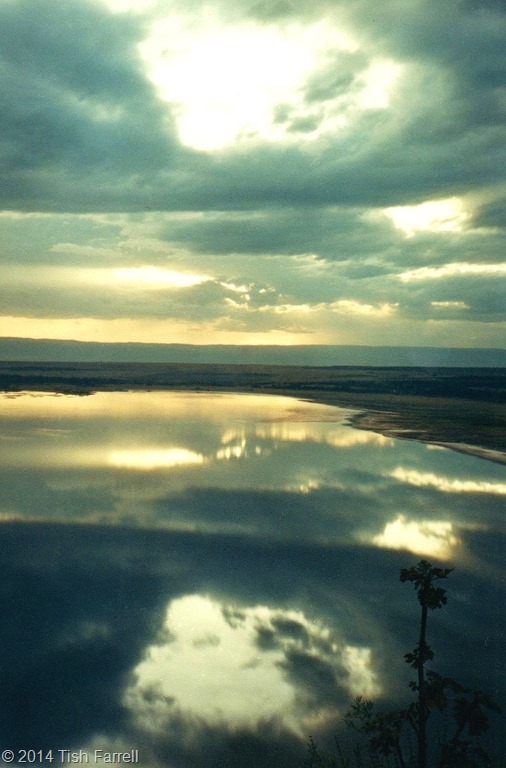 That the Rift was once Maasai territory is indicated by the many place names – Naivasha, Nakuru included – that are European renderings of Maa originals. Elmenteita derives from ol muteita, meaning “place of dust” and, from time to time, this shallow soda lake does turn to dust. At the best of times it is only around 1 metre deep. It shrinks and expands depending on the rains. But when not blowing away to dust, it extends over some 19-22 square kilometres. 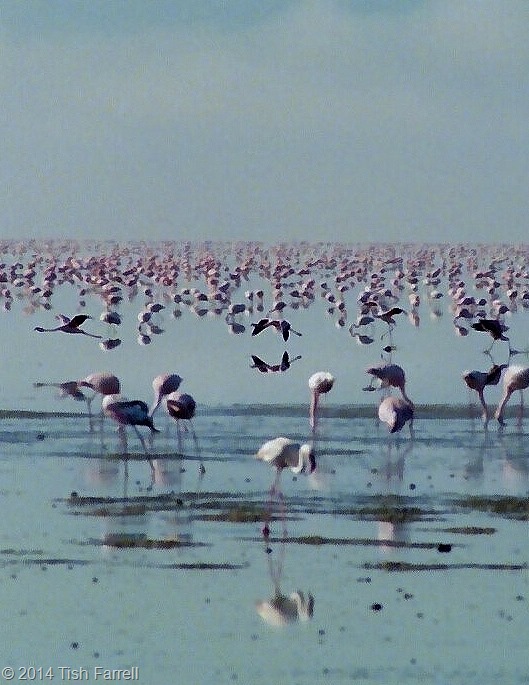 The alkaline waters are rich in the crustacea and larvae that the greater flamingos feed on, and in the blue-green algae that the lesser flamingos syphon up through the top of their bills. The former have white plumage with a pink wash; the latter are more the colour of strawberry ice cream. Both honk, and grunt and mutter in a continuously shifting mass. All night you can hear them as you lie awake in your tent. But it is not only the bird life that make this place so special. 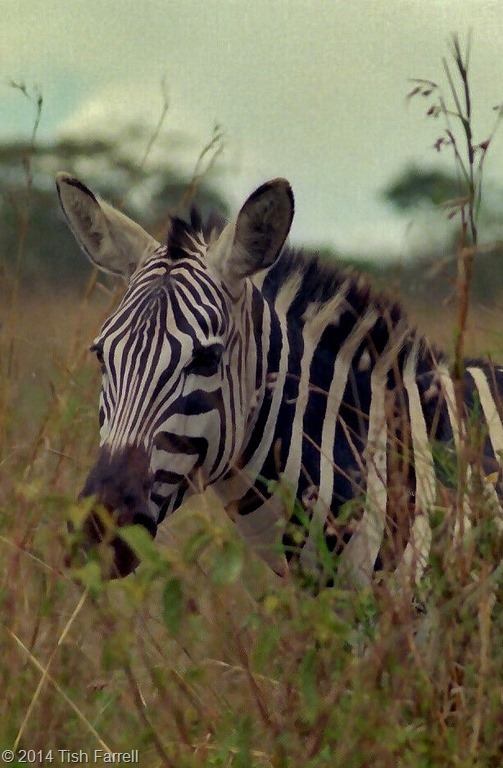 The traditional ‘big five’ may be lacking in this part of the Rift, but it is still home to Rothschild giraffe, eland, buffalo, zebra, ostrich, impala, gazelle and a host of smaller game – aardvark, zorilla, porcupine, African wildcat. Since our time in Kenya much has changed at Soysambu. 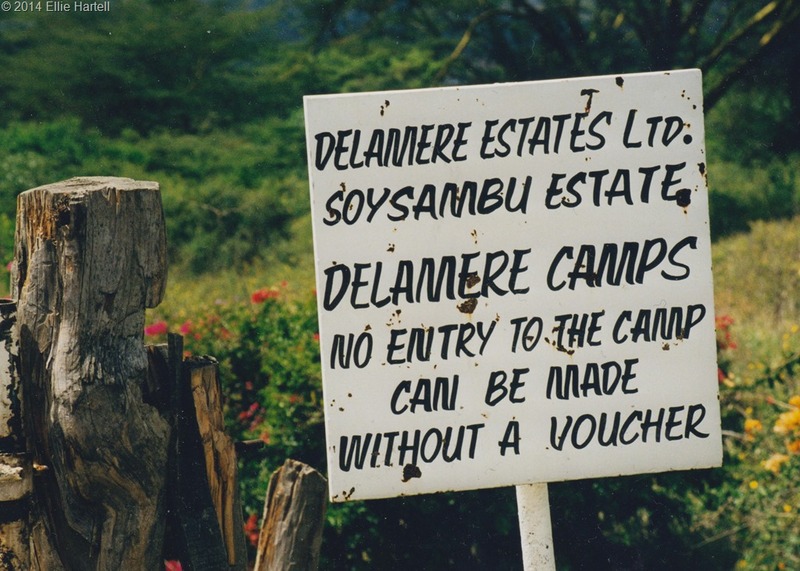 In 2007 the private Delamere Estate began operating as a not-for-profit conservation organi-zation called Soysambu Conservancy. Delamere Camp has long gone. 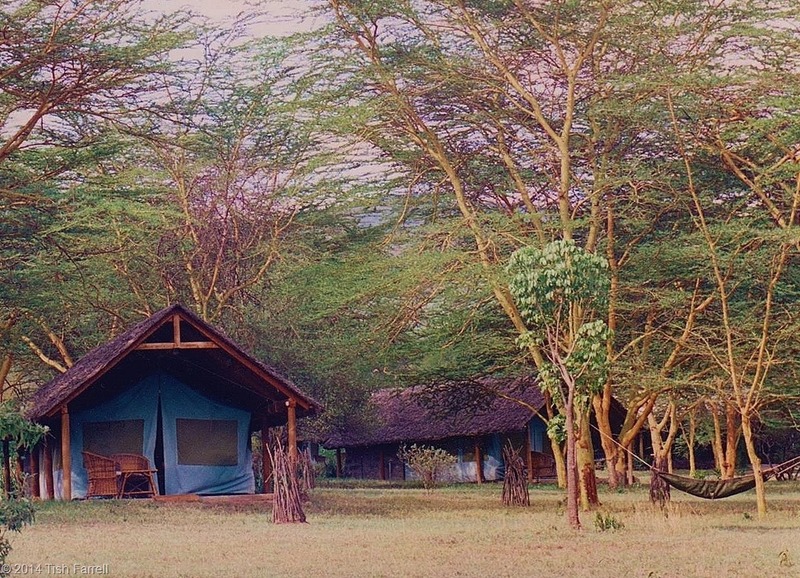 In its place is a new enterprise, the very expensive Serena Elmenteita Luxury Camp, a sort of out-of-Africa manifestation with bells on, the kind of set-up that intrudes a different kind of exclusivity on this piece of Kenya. But then of course there’s always the usual argument: that the provision of luxury on this scale does at least provide many, many jobs for Kenyans. 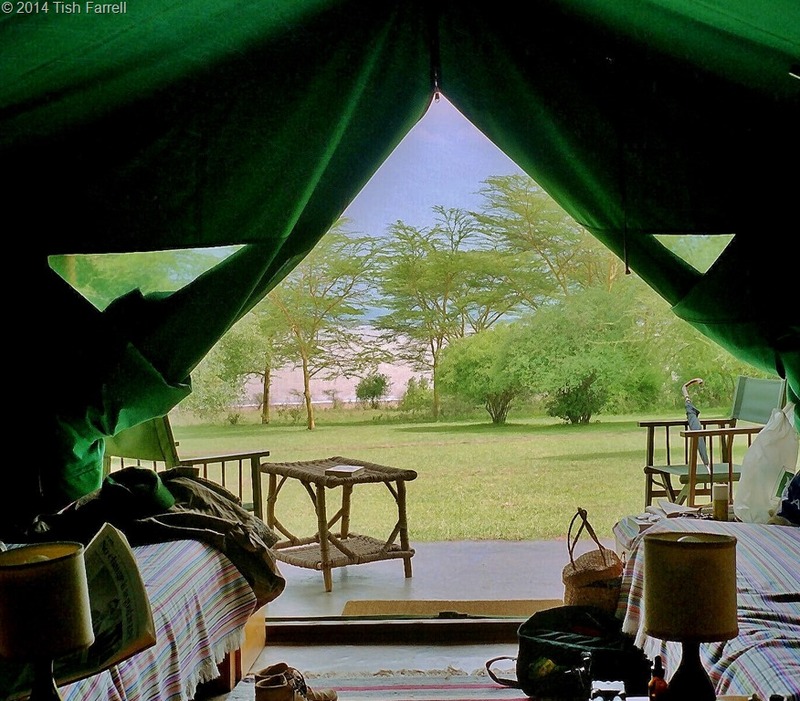 Across the lake, however, something of the original Delamere Camp ethos has been re-created at the Sleeping Warrior Eco Lodge and Tented Camp – all within the Soysambu Conservancy. In fact things have not been going well with the Delamere family. The sheer mention of the name has been enough to evoke great fury among many Kenyans. In 2005 and again in 2006, Thomas Cholmondeley, sole heir of the 5th Baron and Soysambu’s manager, admitted to shooting dead an African. 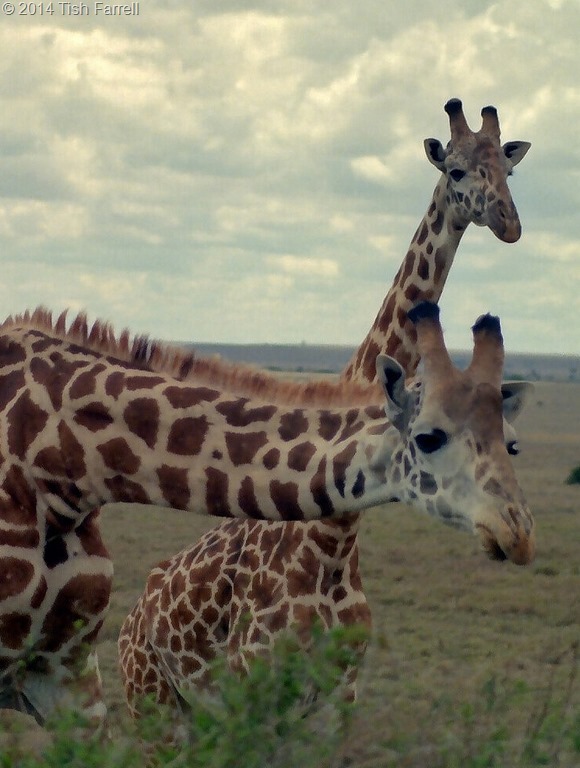 The first case involved a plain clothes officer working for the Kenya Wildlife Service, apparently on the Soysambu farm to investigate a poaching incident. Cholmondeley says he thought the man was robbing his staff. Action against him was dropped. 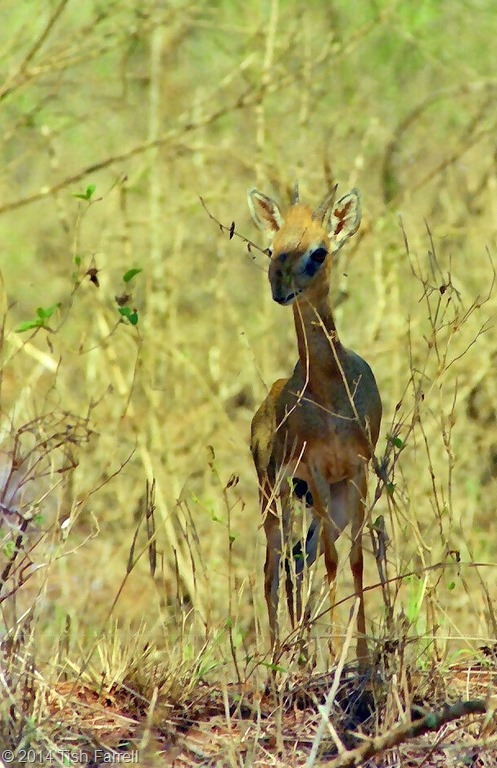 In the second case, he caught a group of poachers with a dead impala, and said he was shooting at their dog when he fatally wounded one of the men. Later he claimed it was his friend, Carl Tundo, who had shot the poacher, and that he was covering for him. The whole sorry story was featured in the BBC Storyville film Last White Man Standing. Later the charge of murder was changed to manslaughter, and in any event Cholmondeley spent 3 years in Kamiti Maximum Security Prison, Kenya’s toughest jail. To many, though, it was thought to be far too lenient a sentence. The high profile media coverage also reminded millions of landless Kenyans that certain individuals had in their sole possession unimaginably vast estates. The old skeletons of racism and colonial oppression came rattling out of the cupboard to fuel the general furore, as the poacher’s widow asked for justice. And so what in the end are we left with – a beautiful place enmeshed in tales of human intrigue, slaughter and misadventure. I know I was lucky to spend so much time there when I did, and to see it through the eyes of the Kenyan naturalists who were my guides. I hope that many of them still work there – for Serena or Soysambu. They taught me how to watch out in that landscape: to recognize tracks of genet cat and mongoose, to poke through the little piles of dik dik droppings that marked this tiny antelope’s territory, to identify a black-breasted apalis or shy tchagra, to listen for the calls of the red-fronted tinkerbird, to know that an infusion of bark from the muthiga or Kenya Greenheart tree is good for toothache and stomach upsets, and most especially not to fall into aardvark holes as I was walking through the thornscrub. 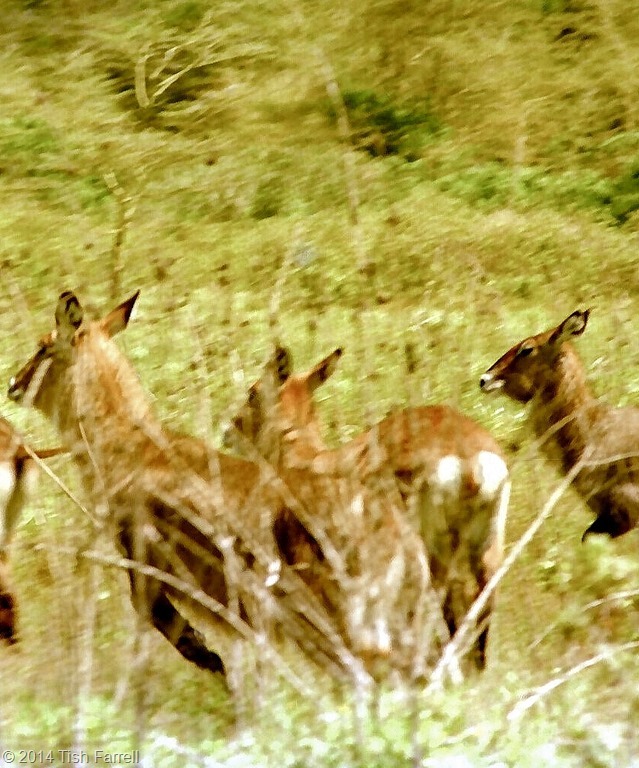 Finally then, a few glimpses of Soysambu’s beautiful creatures.